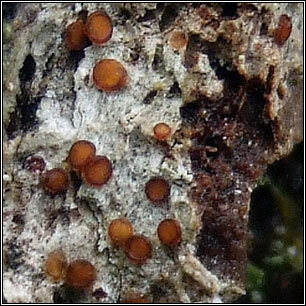 Thin whitish-grey thallus with numerous concave orange-brown apothecia, translucent when wet. Raised, entire margins. 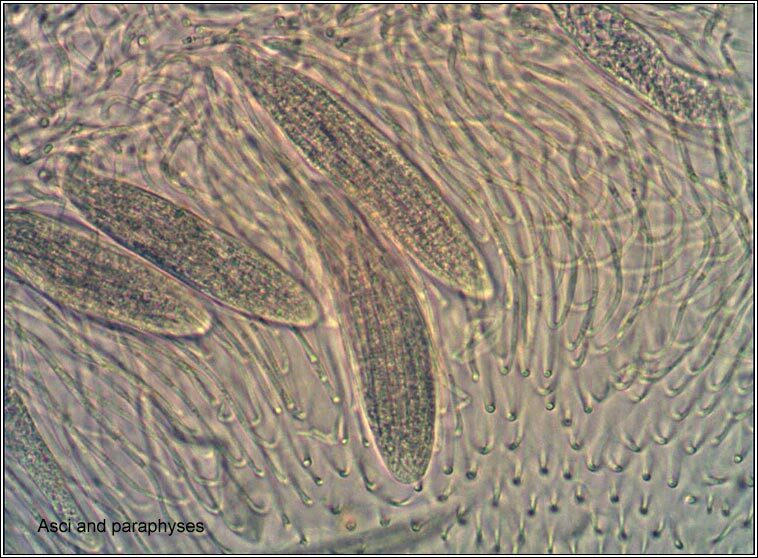 Asci 16-48 spored, the spores 9-15 septate, up to 40 in each ascus, 38-80 x 3-5 µm with pointed ends. 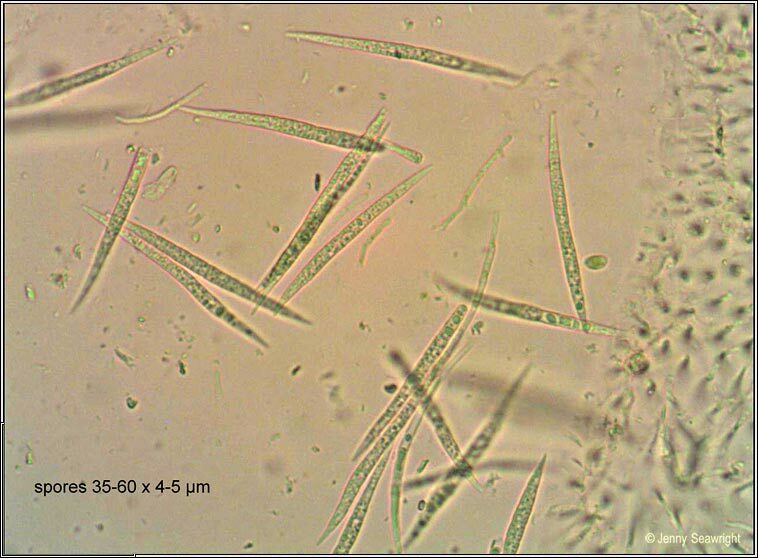 Paraphyses +/- hooked at tips. 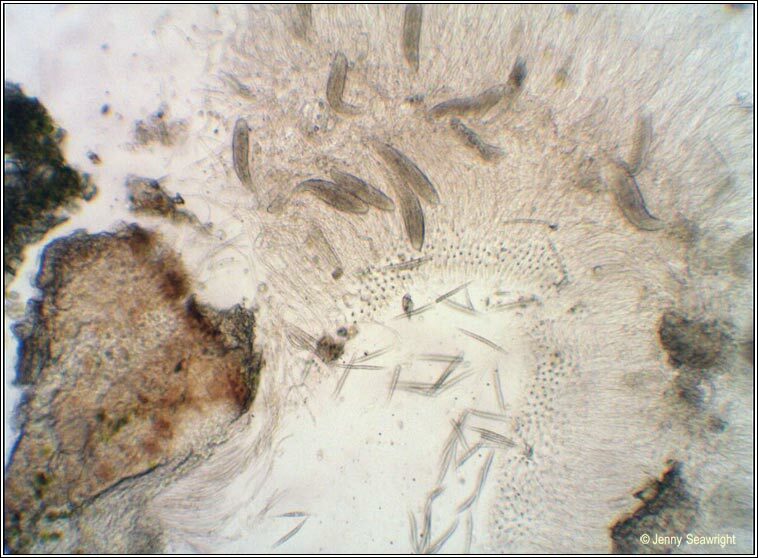 Microscope photographs below. 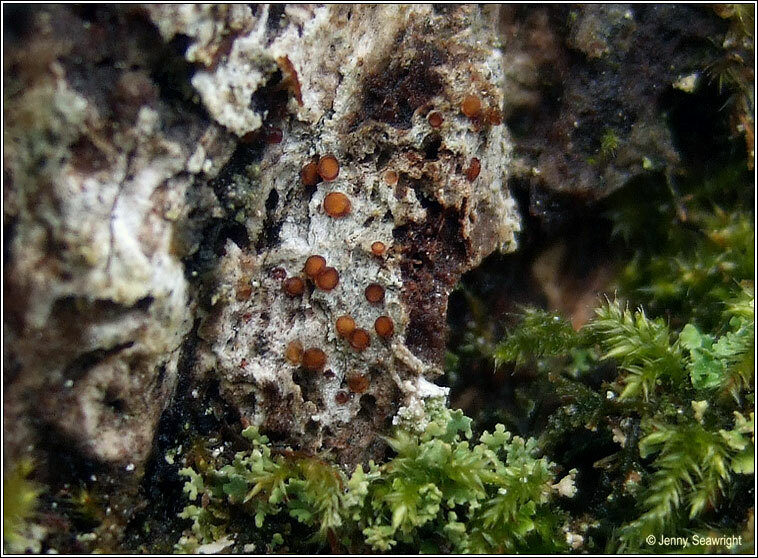 Uncommon, on shaded, +/- rough-barked, mature trees in established woodlands. 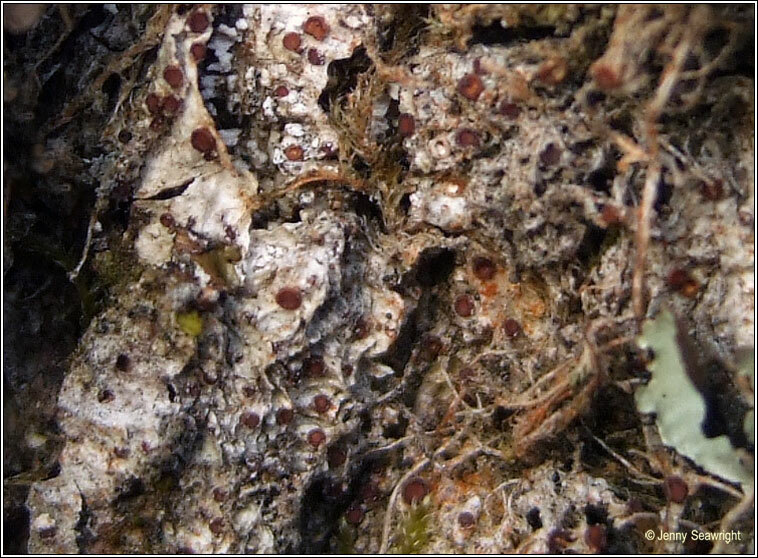 'Ancient woodland' indicator species.